Advanced Charges – Cost resulting from service rendered before any actual work has been performed. This can be for the services of a craftsman, professional or any third party. Advanced Charges are usually added up to the total charge. Bill of Lading – This refers to the transportation contract and the receipt for your goods. Carrier – The company transporting your household items. The movers. Declared Value – This amount refers to the value of all the items that you are transporting. It is usually reported by the client himself. Try to be as accurate as possible because it will determine the insurance value. Estimate, Binding – A binding estimate is an agreement that you do with a company, prior to transport. It guarantees that the cost of the work will not go over what was declared in the estimate. Always ask for a written copy. Estimate, Non-binding – Just like a Binding Estimate, a Non-binding estimate is made in advance with the company regarding the services, coverage and cost of the work. The difference is that, this one is not binding. Final changes can be made, depending on the ACTUAL weight of your shipment. Flight Charge – No, this has nothing to do with airplanes and travel by air. What it refers to is the charge that a company asks for when carrying items up or down a flight of stairs. 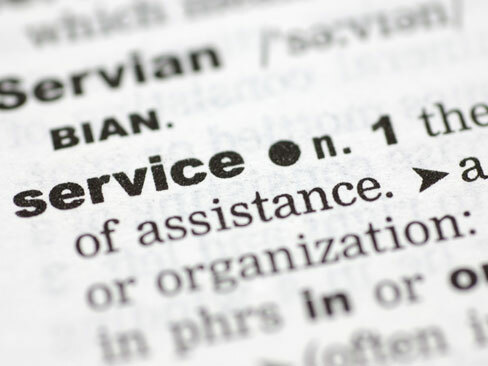 Full Service – This refers to the most common type in which a company will take care of all the details with regards to transorting your items from one residence to another- from packing to transport and unloading. High Value Article – It refers to items in your shipment that are valued at more than a hundred dollars per pound. These are items that need special care and attention. Line Haul Charges – Charges for the vehicle transportation. Long Carry – Companies will charge you more if they have to carry your items for longer (additional) distances. An example is if your driveway is not accessible and they’d have to carry it through the back door. Mobile Container – Professionals that don’t offer full service will provide a mobile container for you to load your stuff in. This is a less expensive, but more tedious option for customers. Order (Bill of Lading) Number – Take note of this because it is the number used to label and track your shipment. Peak Season Rates – Summer is the peak season and this involves higher line haul charges. Storage-in-Transit (SIT) – If you are not available to receive your shipment or if your new home is not yet ready for some reason, the company may decide to place your items in SIT (a temporary warehouse storage) with or without your permission. It will then be your responsibility to check on your shipment’s status, and pay for the corresponding SIT charges. These are only some of the most common terms used in the industry. Just like in any field, the terms evolve and grow over time. Try to stay updated so you’ll end up with the best deals possible. Communication IS key after all.